Seems like it has to take something massive to get me to post. Well, here's your massive thing. With school, work, and an obvious decline in musical releases, (or the quality of them, rather) I’ve really had no time or reason to blog. I am confused, though, as to what on Earth has happened with Japanese music. From the start of the year to the middle of the summer artists were constantly releasing strong singles. Now what? Has everyone fallen under some anesthesia and gone into hibernation? Where’s the good stuff, yo? Thankfully, Merry came along to pull me out of my slump, as well as prevent me from questioning my faith in J-rock. (something I would hopefully never do) After the The Cry Against…/Monochrome My fiance and I had our interests piqued. His more so than mine, because I’m such a dang skeptic. The first time I heard Crisis Moment I was ready to skip it after about ten seconds. Why? Because I’m a skeptic! The song starts out really slow and tender, then there’s a ton of screaming. Then it gets all touchy-feely again. THEN, the chorus! Moment clocks in at three minutes and fifteen seconds. This is not enough time for the song to establish the links between the mellow and brutal parts so it seems a little forced. In j-pop songs, a 3:15 song is fine because not much change happens. In typical j-rock, you expect to be taken on a music journey of sorts. I would compare Crisis Moment to a roller coaster. You coast up a big hill, go down the hill at warp speed, some messed up crap happens that you barely remember, then its over and you have to go back again just to discern what just happened. Okay, convoluted analogy is over. Fleeting Prayer is an entire minute longer than Crisis Moment and a ghostly feel to it. It doesn’t have as sharp or extreme changes as Crisis Moment, but it’s worth listening to. I appreciate that obvious effort was taken with this song. You don’t see a lot of effort put into b-sides normally so this is a refreshing piece. Finally, we get the unplugged version of Crisis Moment Eeeeeew. This song was not meant to be like this. It’s slow, boring, and should be skipped. Gara sounds terrible and the whole thing is just terrible. Sorry to be a total song-basher but this song made me want to bicycle kick a wall. In Conclusion: Merry certainly delivered with Crisis Moment. To me, it’s their best single yet and builds off of the epic-ness that their last single had. It’s nice to see growth in a band I’ve overlooked for the longest time. Highly recommended! Welcome back to me, and welcome back to SKULL! This band was introduced to me by Toshi San and I definitely appreciate it. Gaining insight on new VK bands is what I’m all about. I’m going to probably step on some toes and hurt some feelings when I say that I wasn’t very fond of Nancy. The guitar and the rest of the instruments were great, but I didn’t feel like the vocals matched the intensity of the song and for that I couldn’t really take it seriously. This is one of those songs I will probably have but rarely listen to. I did, however, find JUMPIT to be really interesting. It’s a fine blend of all sorts of musical elements which come together to make some weird messy thing that works. I would recommend this song to anyone with a varied taste in music, such as myself. AAA’s new single will be reviewed next, hopefully in the next couple of days. Ven, you have my permission to begin your cartwheels now. Understand this. My first Deluhi song was Hybrid Truth. That being said, the bar has been set pretty high and the band has yet to blow me away since. After “The Farthest” I was ready to call it quits but something in me never wants to give up faith in a band I at one time really liked. So here I am, giving it another go with Deluhi’s latest one-track single. Departure begins with some chanting, electronic vocals, and those “machine gun drums” I’ve praised the band for. It starts out sounding like it’s going to be good. I was really thinking I could get into the song. That’s when things began to go downhill. The second I heard a party-over-here-style “whoooa-ooooh” I knew things were about to get very, very bad. That’s when the chorus hit. The hard kind of electronic sound I was digging from the song’s opening had vanished and instead been replaced with a sort of happy-go-lucky-let’s-toss-beach balls-around-and-enjoy-being-young kind of song that you hear almost every throwaway Disney Channel star record at some point. I think I could headbang easier to the Degrassi theme song and feel less embarrassed. I’m going to be honest with you and say that I only made it about four minutes in to the song. It’s just not worth anyone’s time. In Conclusion: I’m being so harsh because I know Deluhi has more in them than this. All I want to know is where that potential went. Don’t hand me a track as brutal as Hybrid Truth and then try to follow it up with something that I don’t even consider Visual Kei, alright? I am so disappointed, but I won’t give up. Deluhi has still got some fight in them and I’m sure it has to come out eventually. I definitely prefer this cover to the other. I’ll let you guys in on a little secret. This is probably the most excited I’ve ever (pun intended) been to write a review. 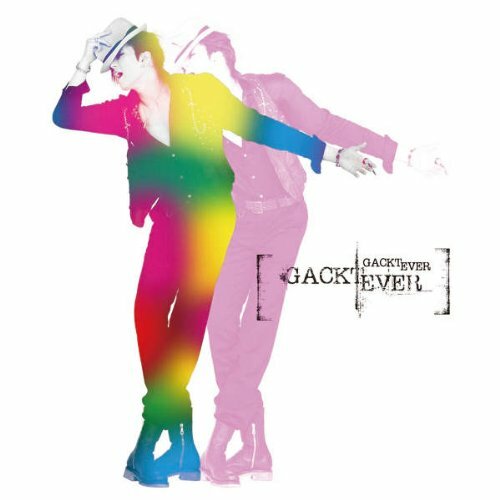 Everybody knows by now that GACKT is my favorite artist in el mundo and I have been bursting at the seams to get my hands on this single. After being pushed back repeatedly and sending GACKTophiles like myself into a cold sweat-laced panic, I began to think that G’s move to Avex was a poor choice. Though this isn’t his first single with Avex (recall that the “Journey” trilogy was released with them, even if G didn’t write any of the songs) I was interested, nauseated, and incredibly nervous to see how he would fare with such a mainstream company. Could GACKT retain his character and uniqueness we all love about him by switching to the most draconian, evil, corrupt, baneful, heinous, vile, pernicious, loathsome, repugnant, sinister mainstream record company in Japan? You bet your bottom dollar he could. EVER begins with some hard drumming, and of course the trademark you-know-it’s-a-GACKT-song guitar noise. Is there some kind of story behind that sound? I can think of at least three other GACKT songs with that exact same noise in it somewhere. What I liked most about EVER is that it never slows down or releases its grip. 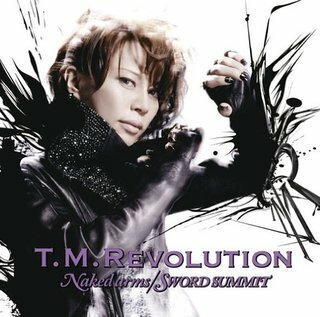 GACKT sounds fierce and empowered in the chorus. Perhaps the move to Avex wasn’t as bad as I anticipated. If his next single comes out on time, then I’ll totally be okay with the label switch. In all, EVER is outrageously catchy and brilliant. I barely noticed that the song was over five minutes long, because it just keeps blazing through. I loved it. GACKT is stellar in this PV. He separates himself from reality by playing the role of a sort of deity. He’s magnetic, captivating, and it’s so hard to believe he is a real, breathing human. He just seems so far above the rest of us. Trust me, you’ll be feeling the same way the little kid in the audience does when you watch this. G’s dancing is a little strange, (not as odd as the dancing in the Vanilla PV though!) he removes and replaces his fedora numerous times, and of course..
We are also given UNCONTROL ♂Kyoukiranbu edition♂ which features.. guess. That same guitar sound! Seriously, am I the only one who pays attention to or notices that? This song is wacky and dissonant. It has a heavy techno sound, but I can understand why this song seems to be popular at lives. It’s a crowd-pleaser and that’s what GACKT is all about: making the fans happy. In Conclusion: GACKT is a freight train with no intention of stopping. EVER is a fantastic single as a whole, and I could not possibly be happier. I am sure this review is riddled with bias because I’m so hooked on GACKT that… well it’s just not healthy, okay? VERY highly recommended. Excellent work, G.
^ I know I messed that title up somewhere. Hey look! I’m actually going to review something! Could I possibly get a handful of confetti or some balloons for this? Welcome back, D! The band has returned after their (unfairly prejudged by myself) phenomenal album 7th Rose. Of course I had high hopes for this single because the band is one of my favorites, after all. I was a little fearful when I saw the cover art. The clothes are RIDICULOUS. Yet, I learned after 7th Rose to bide my time and wait. 赤き羊による晩餐会 begins with some whispering from Asagi which sounds really nice. The song initially has a very hard, very D sound to it before it makes a seamless move into a jazzy/swing style a la Mad Tea Party. The drums are wild and Asagi’s breathy cries are enthralling. I have to say, he is one of the best j-rock figures out there. Besides boasting one of the greatest voices imaginable, he has a charisma and uniqueness about him that not many other visual rockers have. He is incredibly recognizable which is great since I always complain that so many VK bands fall into the ordinary. The PV, or at least the incarnation I saw has the band playing in a Victorian-style room. This was already a hit with me considering I’m a Titanic fanatic and I love Victorian/Edwardian style anything. While the band plays, a vampire who thankfully does not sparkle feasts on a couple of attractive women before going after Asagi who in turn hisses right back at him. We also see Asagi autograph a piece of paper for a steward, who awkwardly sniffs it for about the last fifteen seconds of the video. Very random. I’ve always loved the PVs D puts out because they are always out-of-the-ordinary. This one, although dark and disturbing had a quirky nature to it as well. Something about seeing a bustier-clad Asagi bopping with silverware and a pepper grinder was rewarding to my tired visual soul. ひび割れた柘榴石 is a fabulous follow up to the title track. With its operatic opening strains, I was expecting another Snow White but instead got a relaxing rock ballad.